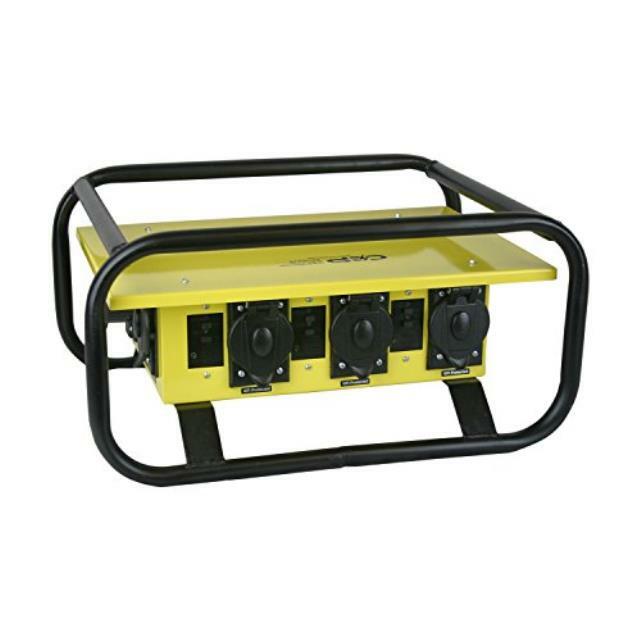 Heavy duty distribution box perfect for tough job sites. Power inlet: 50A 125/250V California style twist lock flanged inlet. Power outlets: One 50A 125/250V California style twist lock receptacle, One NEMA L6-30R 30A 250V twist lock receptacle, Six NEMA 5-20R 20A 125V receptacles.